Many years ago I read John Steinbeck’s absolute classic Travels With Charlie and knew that one day I would try to recreate my own version of that adventure and write about it. The main point of this extended adventure is to treat my dog to the best, most interesting, carefree life she can possibly have. The beginnings of her life were harsh, the rest will be as fun and comfortable as I can make it. The price for that… she has to pose for my annoying photos at a moment’s notice. To that end this website is our ever-expanding Adventure Log to chronicle the travels of my dog Willow and I as we camp, hike and wander off-road. In it we will share pictures, descriptions and insights as well as info on the BIFL (Buy It For Life) gear we use to make this all happen. We travel so much that these website posts are embarrassingly behind but Our Map page is far more up-to-date. While we’re out and about we passionately practice the Seven Principles of Leave No Trace up to and including picking up garbage left behind by less conscientious visitors. We’ll keep pictures of me to a minimum. You’re Welcome. My girl will instead be a living version of a Roaming Gnome, my talisman that gets taken on far-flung journeys and adventures and has her pictures sent back to those in the know. If she was there, I was there. 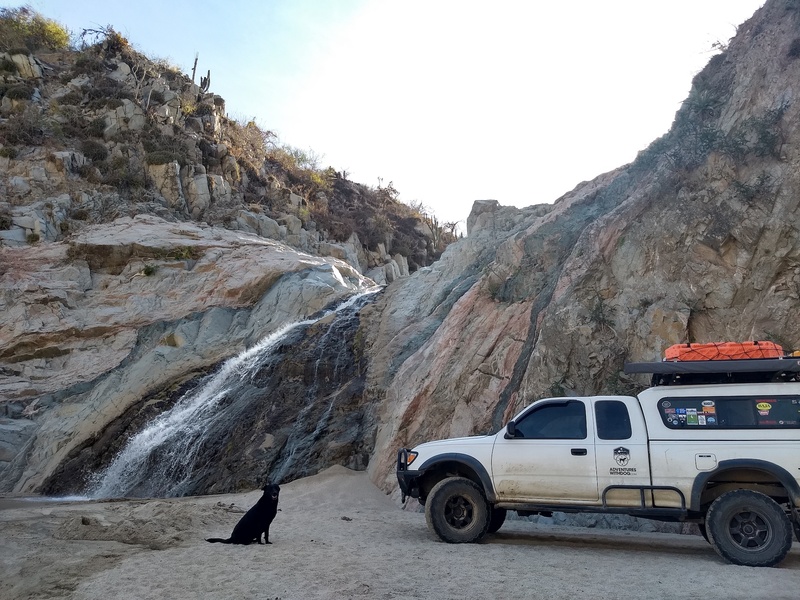 We are always on the lookout for thoughtful suggestions from fellow travelers, adventurers, overlanders, off-roaders and people in the know. If you have a favorite spot to camp, hike or off-road you’d like to share with us please drop us a note. We’d be happy to use, fondle and honestly review any gear you think may make our travels and adventures easier, more efficient or more pleasant. Please visit us here again as we are regularly adding more content about the places we’ve gone, the things we’ve seen, the people and animals we’ve met and the tools that let it all be possible. Maybe we’ll see you off the beaten path. Fair Warning: This is a PG13-Rated site with a few x-rated words. I don’t have many filters and a swear-word filter is certainly not one of them. Certain words I may not-infrequently use might be considered by some as “bad, curse, cuss, dirty, expletive, filthy, foul, four-letter, maledictive, naughty, obscene, profane, swear, or vulgar” words. If you are one of those who might take offense at such a word or get positively apoplectic like my dear old dad then please, do not take offense, simply stop reading, move on to safer pastures* and have a lovely day. * By no stretch of the imagination should anyone think that this site nor any of the contents herein are affiliated with or endorsed by The Walt Disney Company or any of its properties. At all.